When your relatives want to send you money from the UK through EcoCash dont be in fear anymore that you will receive (get) the money as Bonds notes or local currency RTGS balances here. Because EcoCash has finally (and officially) unveiled an EcoCash foreign currency account (FCA) wallet. The new EcoCash FCA wallet allows you to cash out, the US dollars or pounds your relatives would have sent you, as foreign currency (US dollars) at any Econet Shop and at Steward Bank branches. Additionally, the EcoCash FCA wallet will allow you to even make forex payments, in situations where you are required to pay in foreign currency. In that case, you can make a payment just like when you use the normal EcoCash wallet (the one for local currency), only that you will be making the payment using the new FCA wallet. Conicidentally, The FCA wallet has been introduced at the right time when taxpayers are now required to pay duty for imports (like cars) in the currency with which they bought the imports. It would have been risky for someone to travel with thousands of US dollars to go and offload it at Zimra offices. Now they just have to carry their cellphone and make the forex (duty) payment using their phone. With banks having already separated US dollars and local currency RTGS balances, the onus was now on mobile money platforms to follow suit. And natuarally, EcoCash is the first mobile money platform to separate US dollars and local currency RTGS balances in the form of (this new) EcoCash FCA wallet and ECoCash local currency RTGS wallet. 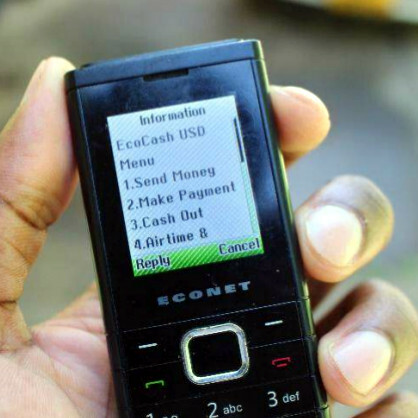 What does it take to have an EcoCash FCA wallet? Nothing really. Its already available to you, so there is no need to register to have this EcoCash FCA wallet. If someone sends you money now on EcoCash, it will automatically get into your EcoCash FCA wallet and, if you decide to keep the money for whatever months or years, its stays in that FCA (wallet) as forex. Its as simple as that. Weird, You Can Now Use Hashtags In Google Maps: Is Google Maps Becoming Half Social Network? Entrepreneurs Who Failed & Got Back Up Share Their Stories At This Cool Event You Need To Attend. Please do research your articles. If one was sent money using world remit and credited to one’s ecocash account, one would still cash out in forex. This facility has been there for more than a year. This method seem to be effective that skrill, Neteller and other methods that money transfer would be it zone of safeness, Now does that mean out of the blue just that l don’t need to have Ecash, FCA Wallet how does that or what will be the determination of the person sending money to me. Does the existing merchant codes automatically seperate the forex & rtgs as Zimra still have the usual merchant codes? It’s convenient but what about Rands? For online payments outside the country am I going to get a visa card..
We failed to get our forex when our money was deposited into ecocash from diaspora so what will change now. Will the Ecocash applications manage to differentiate between foreign currency and local bond notes esp if one receive money through worldremit?